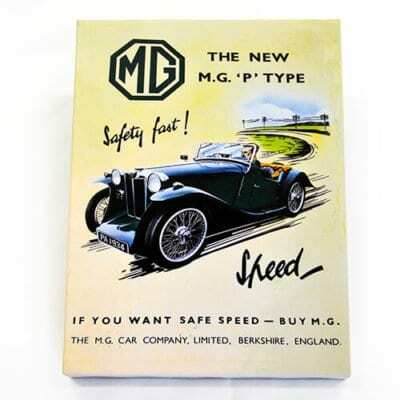 Classic MG BGT advert from the early 1970s, featuring the MGB GT. 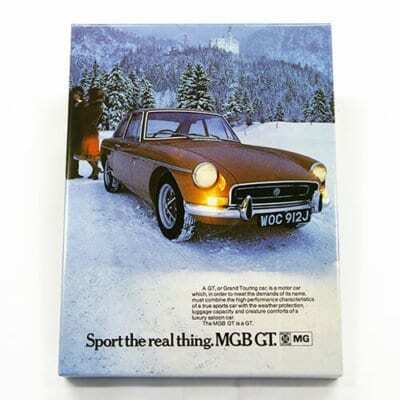 The ad features a couple in the snow with their BGT, urging you to ‘Sport the real thing’. 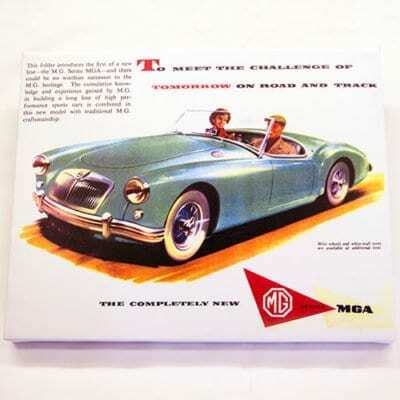 Classic 1950s advert for the US market MGA, complete with white-wall tyres! Original press advert reproduced on a box canvas, with pre-cut holes, ready for hanging.